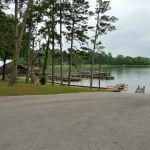 Ask fellow campers about "Lake Livingston State Park" and nearby attractions. Medium size park with 147 back-in spaces (no pull throughs) with picnic table and fire ring, divided into four camping loops. There are also 14 tent camping sites with water (Briar Loop) and 10 screened shelters/cabins. 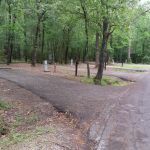 Yaupon, Red Oak and Piney Shores sections have been renovated with concrete rv pads and new blacktop on the interior roads, which were easy to navigate. 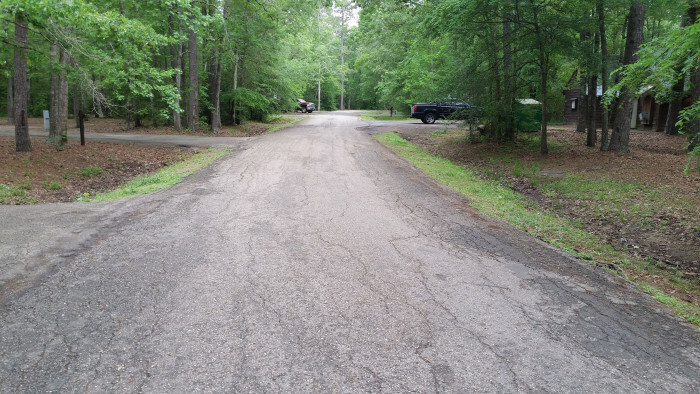 Hercules Club Loop (W/E only) and Pin Oak Loop (FHU) are older, and the interior roads and sites are asphalt in fair/poor condition, therefore sites aren't very level. We stayed in site 40, a spacious, level site in the Red Oak Loop. Piney Shores sites have wonderful water views but most have a noticeable front to back slope so bring levelers. Utilities worked well although we were unable to screw in the sewer elbow due to the concrete barrier/lid. Verizon signal was good and we had no issues using our mobile hotspot for internet. We were able to pull in a handful of OTA channels, but overall reception was hit or miss. 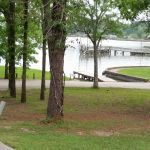 Amenities at this park include several boat ramps, fish cleaning stations, large fishing pier, kayak/canoe rentals, hiking trails and large day use area. Archery range available with reservation. Playground consisted of six swings only. 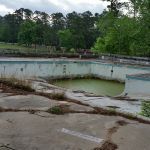 Pool has been permanently closed and will never reopen, as I was informed by the park rangers. Park store onsite which sells snacks, drinks, ice, gifts and fishing supplies, but they are closed on Monday and Tuesday. Bathroom/shower area near us had 3 toilets and 2 showers and were cleaned daily. No laundry facilities available. Dumpsters conveniently located. Be aware that there is a $5 per person per day fee in addition to the camping fees. We had no choice but to purchase the Texas Parks Pass upon arrival for $70 since we were staying for 14 nights ($140 extra charge without the pass). Daily rate is averaged with this cost included. Overall, we had a good stay and would return. 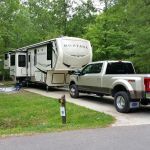 We camped at Lake Livingston State Park in a Fifth Wheel. HEB and Walmart Supercenter are 5-6 miles from the park. If you need rv supplies, Acres RV in Livingston has a good selection. Stayed in Yaupon Loop. Price reflects no TX state pass so $21 plus $5/night admit fee. 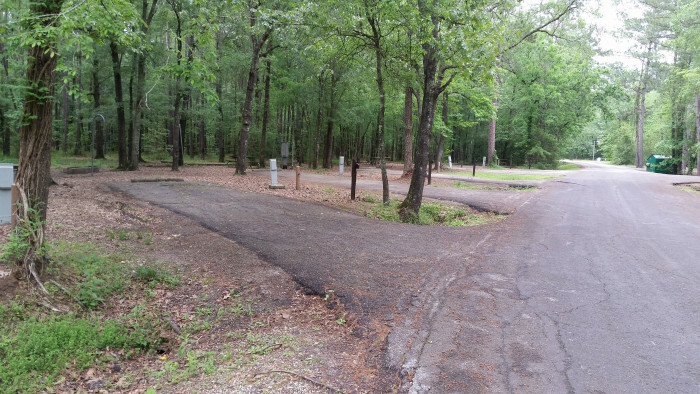 Yaupon recently renovated (like Red Oak and Piney Shores before) so site pads are concrete and road is in good shape. All three of these loops are full hookup and can accommodate larger rigs. I found it odd, though, that the picnic table/fire ring areas are not upgraded at all--they are in the dirt (or mud, if weather is wet). Hopefully they have plans to at least put gravel under them at some point. FYI, future renovations planned for Pin Oak and Hercules Club Loops, both of which are E/W only (and cheaper). 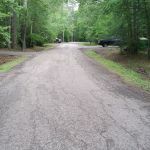 In the meantime, though, those roads and site pads are old asphalt, broken and pitted in spots, with some abrupt drop-offs in the road-side and site shoulder areas. Many of those sites could be quite challenging for larger rigs to access. Texas recently went to all site-specific reservations, which may complicate picking a good site, sight unseen, especially in those two E/W loops... bigger rigs beware! Verizon signal good. Over-the-air TV limited, but could usually pick up a couple of channels. We camped at Lake Livingston State Park in a Motorhome. Really cool 1 mile boardwalk nature walk. The weather has been terribly wet lately, so most other trails were plagued by mucky puddles. Imagine when it is drier, though, they are nice, too. Plenty of nice walking along the shore line near the day-use areas. In season there are boat rentals and a swimming pool (also lake swimming). 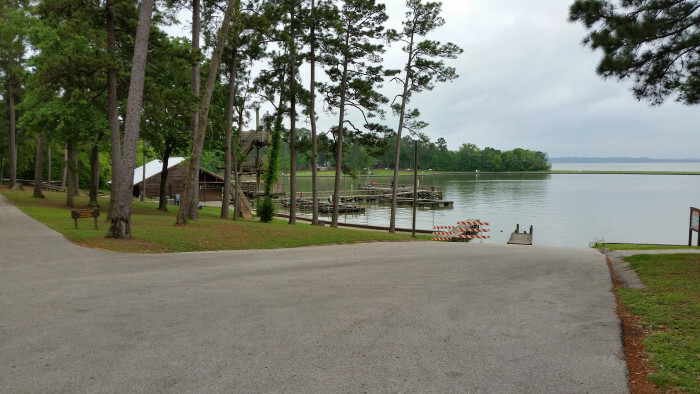 Two or three boat ramps. Nice fishing dock. Playground. Lots of ranger-led activities. Overall, a terrific state park. Check in was smooth and being able to reserve specific sites over the web ensured no surprises at arrival. We had no problem backing our 36 foot 5er into our site. The electric connection was towards the front of site and our electric is at the rear of our 5er which resulted in needing to use a 10 foot power cord extension in order to back all the way into the site and connect power. There was a great mix of tents, camping trailers, and 5ers throughout the park. The park's pool was closed but there was a designated swim area with easy access into and out of the lake. We will return to this park again. We camped at Lake Livingston State Park in a Fifth Wheel. The city of Livingston is about a 15 minute drive from the park. They have a HEB grocery store, and a Walmart and Lowes. With advanced full hook up reservations made 90 days prior to arrival for a 2-night stay, we arrived on a week day. 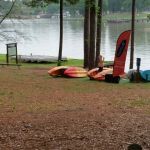 We stayed in a back-in camp site along the lake in the Piney Shores Loop. This State Park is the beta test for Texas State Park site specific reservations and it all worked out wonderfully. Concrete slab for travel trailer was very level, but sewer hookup was more so closer to road than to the back of the site, so due to that, we were not able to place trailer totally to the very back of the concrete slab, which made for a very tight situation with parking our tow vehicle on the concrete slab in the front of our travel trailer. Large site with picnic table, fire ring and lantern pole. Lots of vegetation between us and the neighboring sites. Extremely quiet as mostly older adults camping. The toilet/shower house was a bit far, about a 12 minute walk. Unlike other parks, this park did not have an entrance gate that closed during the overnight hours. No firewood available for purchase in Park, so closest we found was a refueling station 3 miles outside the park for a buck a piece. We camped at Lake Livingston State Park in a Travel Trailer. Don't miss the sunsets over the lake! Woodville Pickett House was worth the drive! AYCE served family style. Very well kept State Park. Excellent staff, hosts, hiking trails, store, playground, etc. Site spacing very good. Hercules loop is better suited for smaller rigs but we were able to get our 40' fifth wheel backed in. We frequent this park several times annually. 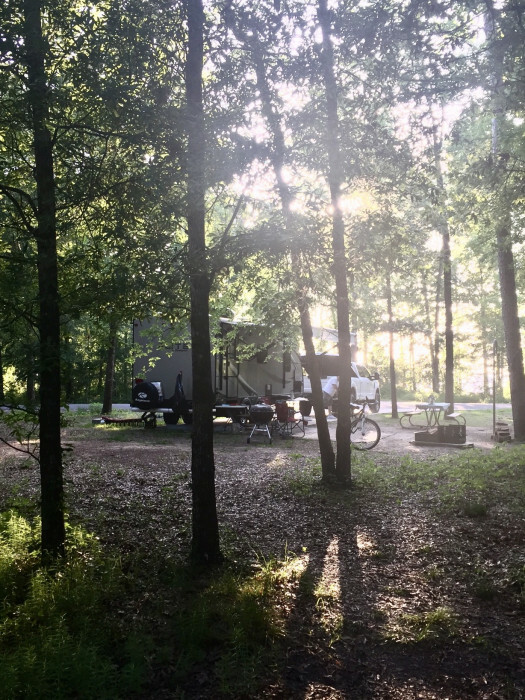 We camped at Lake Livingston State Park in a Fifth Wheel. Never again! We ended up with a site nearly impossible to back into as both sides of the narrow road in campground had deep ditches. Had it not been late in the day we would not have stayed. 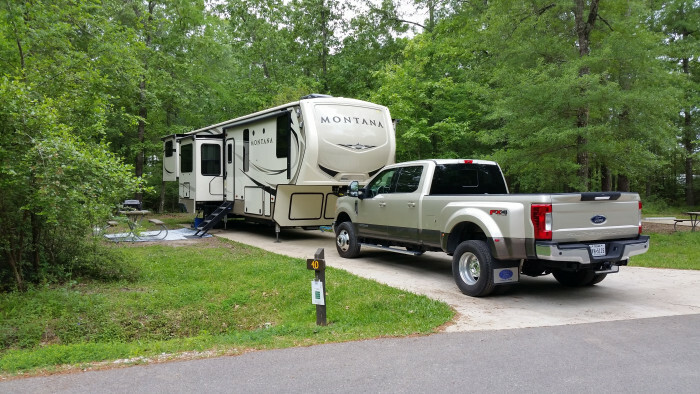 We camped at Lake Livingston State Park in a Fifth Wheel. Beautiful park with amazing sunset views over the lake from the "premium" sites. These sites are $28/night but we used one of our 50% off coupons with our annual park pass for one night. Bath houses slightly older but still clean and functional. We camped at Lake Livingston State Park in a Travel Trailer. There's grocery stores and a Walmart in Livingston. Excellent state park for a visit up to a couple weeks. One thing to consider, about 1/2 the sites require you to back in on your blind side and it is tight. We had a bumper pull of 38 feet on a crew cab. If you take your time, you can make it. Staff allows you to look and select a site before you make your final decision. Good walking trails for you and your animals. Great place. We camped at Lake Livingston State Park in a Travel Trailer. Super nice park. Just redone all new roads pads etc. Great site with lots of space between lots. We camped at Lake Livingston State Park in a Motorhome. Make sure you have what you need with you, shopping is not close by.... but it's beautiful there and remote. 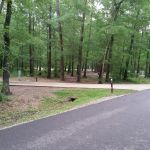 We love that you can reserve a specific site in the Piney Shores and Red Oak areas. The photos on the web site let you see each site, so you know ahead of time what you are getting and that your rig will fit. We wish all state parks had this. 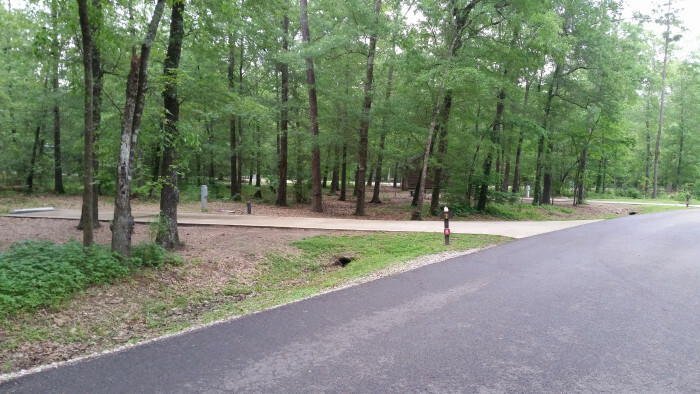 These two areas of the park have had renovations done since our last visit in November 2015. The roads are completely repaved, the parking sites redone with concrete, (no more precarious dropoffs at the edge. ), new tables, and new fire rings/grills. 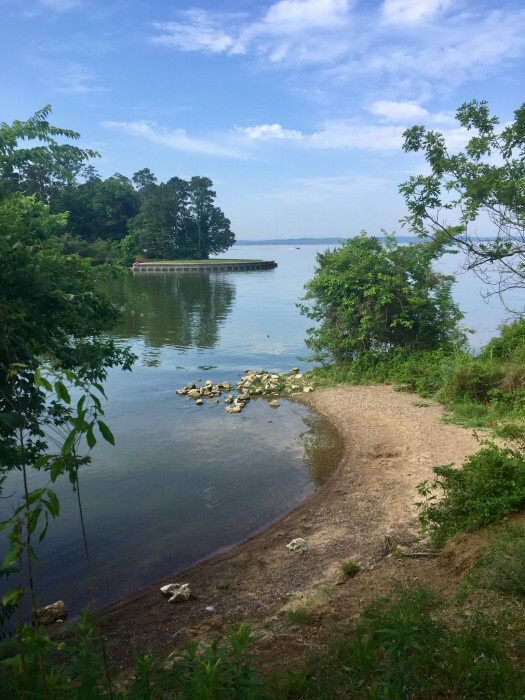 Piney Shores is right on the bank of the beautiful Lake Livingston, where we enjoyed great sunsets and watching birds such as seagulls, pelicans, and even a pair of Bald Eagles! Most sites are spacious, level, and shaded. Depending on your rig, some sites may require up to 40 feet of electric cord and/or water and sewer hose. Navigating the roads and entering the sites is easy. Electric service was good, but water pressure was 40 PSI most of the week, and dropped to only 20 PSI on a busy Saturday. For those rainy days, we were able to get a strong 4G Verizon signal, and could get all TV networks except ABC. We camped at Lake Livingston State Park in a Travel Trailer. Loved this beautiful park. Its very wooded and we had a great lakeside spot. However, there were millions of caterpillars...literally falling out of the sky (spinning silks from the high trees and dangling down and dropping). The mosquitos were bad also. The interesting thing is...we ended up moving 30 minutes up the lake to another park and there are no bugs here. Our neighbors did say the bugs are not always this bad. The lakeside sites are beautiful though and I loved that we could fish from our site and the trees were perfect for hanging a hammock. Note that this park was closing April 1st, for the remainder of the year. Apparently they are renovating. There is a daily $5 charge for every person over 17, unless you buy the annual state park pass for $70 which allows all adults in your vehicle to avoid the $5 per day fee. There is also an extra $4 fee for an extra car, per day. Our site was a tight fit due to the trees being so close to the pad, but we were able to fit in our 37 foot 5th wheel. We were in the Piney Shores loop. We camped at Lake Livingston State Park in a Fifth Wheel. Stayed in Yaupon Loop. The site pads are asphalt but most are in very poor repair.....uneven, sunken spots, broken off, etc. The loop road is in the same condition. Park is in need of serious maintenance. Camping area in this loop is in a low lying area and is currently very sloppy and flooded. The drainage ditches are not effective. It is seasonal holiday time so the park is very crowded. Most of the campers have dogs and almost none of them have any inclination to pick up after their animals. That makes for a filthy, unsanitary condition in the campground. We camped at Lake Livingston State Park in a Travel Trailer. We love staying at this park! Especially if we can get a spot in the Piney Shores loop. 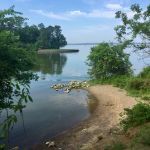 It is right on the bank of the beautiful Lake Livingston, where we enjoyed great sunsets and watching birds such as seagulls, pelicans, and anhingas. Most sites are spacious, level, and shaded. A few of them did have sewer hookups that were slightly uphill. Workers came by each morning to mow and clear leaves. We love that you can reserve a specific site at this park! Although the swimming pool has permanently closed, you can swim, boat, and fish in the lake, as well as hike, bike, and ride horses. It is quiet during the night, and stargazing it excellent. For those rainy days, we were able to get a strong 4G Verizon signal, and could get all TV networks except ABC. 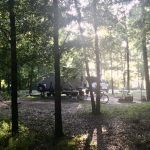 We camped at Lake Livingston State Park in a Travel Trailer. Watch out for aggressive squirrels, mosquitoes, and ticks. Places to eat in Livingston are Shrimpboat Mannys (crawfish etouffee). The Blue duck,and then there are plenty of fast foods.No Walmart,but they are scheduled to reopen soon.Fishing is usually slow on the pier,but sometimes crappie turn on.You have to be there when they do.Usually in April. Close to the town of Livingston so we Escapees can pick up our mail in person! 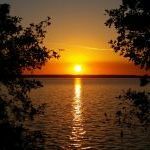 Are you affiliated with Lake Livingston State Park ?